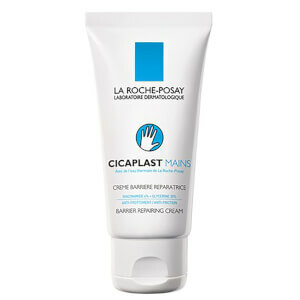 Experience long-lasting comfort with La Roche-Posay Cicaplast Baume B5 Reparing Balm SPF 50, a high tolerance balm specially created to soothe and calm sensitive skin. Utilising minimum ingredients to lessen the risk of allergy, the reparative emulsion works to comfort and restore damaged or irritated skin. Its soothing, anti-itching properties promote optimal skin recovery, helping to alleviate skin tightness, chapped lips and irritated skin. Its comforting nature also prevents red or brown scarring marks for more even toned, healthy-looking skin. Ideal for tattoo protection. 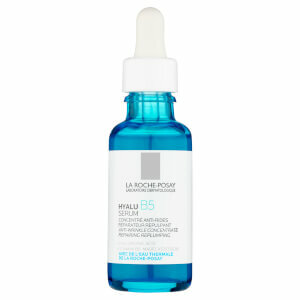 Fortified with high protection UVA/UVB SPF 50. Free from fragrances, preservatives and alcohol. Do not apply on wounded skin. Avoid lips and the eye contour areas. Aqua/Water, Homosalate, Panthenol, Ethylhexyl Salicylate, Butyl Methoxydibenzoylmethane, Octocrylene, Alcohol Denat., BIS-Ethylhexyloxyphenol Methoxyphenyl Triazine, Styrene/Acrylates Copolymer, Ethylhexyl Triazone, Triethanolamine, Dimethicone, Phenylbenzimidazole Sulfonic Acid, PEG-8 Laurate, Sorbitan Oleate, Zinc Gluconate, Madecassoside, Manganese Gluconate, Isohexadecane, Sodium Acrylates Crosspolymer-2, Silica, 2-Oleamido-1, 3-Octadecanediol, Perlite, Drometrizole Trisiloxane, Poloxamer 338, Disodium EDTA, Copper Gluconate, Caprylyl Glycol, Polysorbate 80, Acrylamide/Sodium Acryloyldimethyltaurate Copolymer, Acrylates/C10-30 Alkyl Acrylate Crosspolymer, BHT, Tocopherol, Phenoxyethanol, FIL: B179256/1, Please check back of pack for up to date ingredients. Great product for day to day protection of your hands and décolletage. Small enough to keep in my bag so I can just get it out if I have forgotten to moisturise or sun cream during the day. I wouldn’t recommend using on the face though as used it on top of my skincare and broke me out a little. Also doesn’t smell heavily of spf like other suncream products. 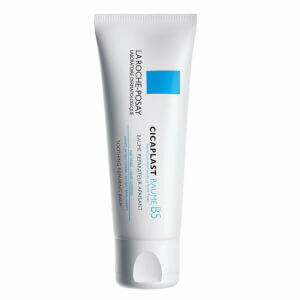 I have been using the cicaplast baume b5 and i’d say, it worked wonders on my face! I have a very sensitive and acne-prone face with so many acne marks and redness but this cream is a lifesaver so as other laroche-posay products except for this SPF 50 version! I thought I’d give this a go since it has spf 50 but it made my skin very dry, itchy and burning with appearance of small bumps. It could be because of the denat alcohol content in this product! I had to chuck this and get the original cicaplast WITHOUT SPF 50! Such a waste!!!! This is my go-to every day! 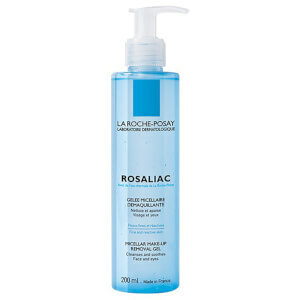 I use it as my daily face cream as it has spf50 in it so my skin is proctected all year round!!! My skin has never looked so good it used to be dehydrated and dull but now always hydrated and glowing since I start using this. I just wish they would stock the 100ml with the spf50 too instead of just the 40ml. But overall I definitely recommend. Excellent on sensitive skin, sinks in well but you've got to rub it in and is perfect to protect adults and children's skin in the summer months. I love this balm as a face cream. It is quite thick to the touch but absorbs quickly so your face won't be feeling sweaty or clogged after a speed walk to work! It moisturises intensely and I have also seen marks have been smoothed out slightly after using it for a week. The spf factor protects from the sun and thus prevents wrinkles to come (sunlight is the main cause of dry, wrinkled skin at later age). Overall the cream leaves my face glowy and healthy and most importantly, protected!